How well we know their names. The Hanson buck. “Mossy Horns.” The Jordan buck. Ohio’s “Hole in the Horn.” The list of history’s most acclaimed trophy whitetails is long and growing, as we in the hunting media recount the tales of their deaths and dote over every measurement of their huge headgear. A deer hunter might garner fame, but these bucks are the true rock stars of the whitetail world. As well they should be. Everyone loves a giant deer, and nobody would suggest these deserve less attention than we’ve given them. But are we in the whitetail media perhaps guilty of tunnel vision? Are some other trophies worth throwing out there when we list the most special deer of all time? Absolutely. In fact, there’s another whole world of mega-deer out there. And I’m talking about deer whose genetics were as close to “native” as we can expect to see, given the great amount of restocking that’s occurred over much of North America in the past century or so. Nature has turned out some shockingly impressive deer that, for various reasons, just haven’t become household names to the hunting public. It’s not that all these deer have always been totally under the radar. Most of them have been officially measured and entered into one record book or another. But they aren’t as widely renowned as they should be. As we’ll see, the reasons for such oversights vary. The one thing all have in common in that they’ve resulted in great deer not being as well known as they should be. The bucks in this special series aren’t presented in any specific order. 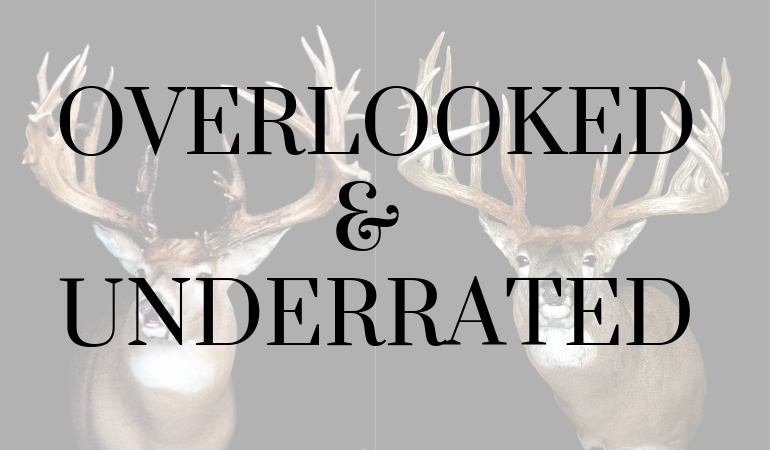 And they certainly aren’t the only bucks you can say have been overlooked or underrated. But as you’ll see, they’re all unique trophies heavy on shock and awe.